I didn’t get wind of David Cameron’s annual assault on diversity until early this afternoon. Last year it was multiculturalism. This year it’s secularism. As with last year’s speech on multiculturalism this was strident, unapologetic and unerringly blunt. It strikes me, though, that it actually makes life harder for a government that is actively seeking to promote inter-faith and multifaith voluntary action as a growing component of a shrinking third sector. How for instance, should secular Hindus, Sikhs, Muslims and Jews respond to Cameron’s claims that not only is Britain a “Christian country” but that its confidence in this identity engenders the freedom to profess their own faith? From my secular Hindu perspective, I feel neither reassured nor emboldened. I’m aware that the vast majority of Britons are Christian (72% at the last count). So what? I’m stumped by the expectation that this statement of national religiosity should make me more comfortable in my own faith. I’m at even more of a loss to reconcile it with a deep commitment to a secular public sphere. From a Big Society angle, the implications of Cameron’s statements aren’t much clearer. I’ve been reading a lot of scholarship on faith-based social action recently(much of it written by academics who currently are or were once Christian ministers). Some of this research is marked by a gauche optimism in a “postsecular” voluntary sector in which faith and secular groups are able to form broad-based alliances to serve unmet local needs. The truth on the ground is a little more complex. There is abundant evidence of interdenominational Christian collaboration but not many working examples of broad-based or multifaith social action projects. Ironically, our research suggest that as Christian social action projects proliferate, the scope for multifaith co-operation potentially declines. 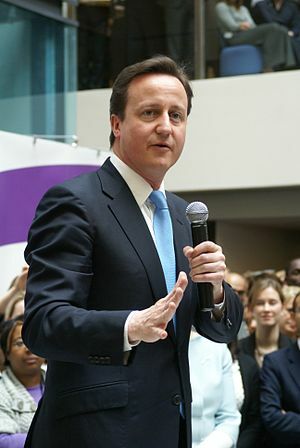 Statements such as Cameron’s do not bring multifaith voluntary action closer to fruition. They can only erode trust and a sense of shared mission by thickening boundaries between Christian and non-Christian groups – when evidence suggests such boundaries already impede collaborative, co-operative action. No-one’s surprised to hear politicians proclaim religious and moral values when capitalism is in such systemic crisis. Elevating one set of values above others, on the other hand, is divisive and debilitating, especially at a time when sustaining levels of voluntary action will depend upon the success of broad-based alliances between faith and secular groups.